Home Misc. Is astrology a useful tool or evil hocus pocus. Is astrology a useful tool or evil hocus pocus. In my never ending quest into overstanding why things are the way they are, I have read psychology and sociology books, explored different religious doctrines, and just have continuously exercised an unquenchable thirst for knowledge. When I started to delve into astrology I had reservations. All my life I have heard religious leaders talk about how “evil” astrology was as well as other occult sciences ( even though many appear to practice themselves). Is it evil? Will you end up in proverbial hell?Or are you missing out on a useful tool . First off, there are many different types of astrology as there are many cultures on this planet. You have western astrology( which is <strong>heavily</strong> influenced by KMT/ Egypt, I would venture to say “borrowed”). 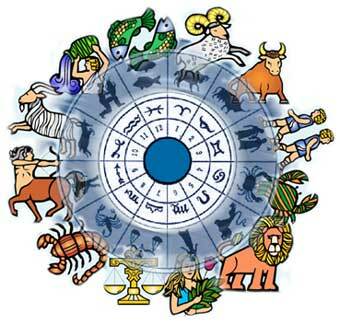 Then you have eastern astrology(Chinese), Karmic, Mayan and Aztec astrology to name some. The word Astrology (Greek) means study or science (logos) of the stars (astro). Many people are into horoscopes which is based on your sun sign(date of birth) and that is barely even scratching the surface. If one decides to ever do a natal chart( intermediate -advanced astrology) you will realize that astrology is indeed, a precise mathematical science. The dynamics of each planet and where they are in the galaxy at a given point in time will drastically influence who you are when you are born. I unapologetically believe this. I happen to find western astrology the most accurate. You have 12 signs in western astrology. I happen to have been born under the sun sign of capricorn which is a goat. It represents a serious,cautious, and calculating person who climbs up a mountain surefootedly. This describes a large part of my being.<strong>It’s all in the alignment.</strong>Each planet has a specific personality characteristic tied to it when you look at intermediate-advanced astrology. Examples:<strong>Mars</strong>-Rules physical energy. If you are heavily influenced by Mars in you chart you will be aggressive and a go-getter. <strong>Saturn</strong>-Rules restriction and responsibility. If heavily influenced by Saturn you will be a rock and very reliable.<strong>Jupiter</strong>-Rules ,expansion,luck and optimism . If heavily influenced by Jupiter you will just be a more cheerful and positive thinking person regardless of circumstance.This is just a tidbit of more advanced astrology.<strong>Religious leaders and occult sciences like astrology</strong>This is one area I find very very interesting for many reasons. One is that religious monuments and buildings are loaded with astrological symbols. If you look at this Catholic church in Vienna built in 1222 for instance:You clearly see the dial is a zodiac wheel on the front of the building as well as Leo standing on top of the platform.There are an enormous amount of bible verses which are astrological teachings, take this verse in genesis for instance:Genesis 37:9 “And he dreamed yet another dream, and told it his brethren, and said, Behold, I have dreamed a dream more; and, behold, the sun and the moon and the eleven stars made obeisance to me.” This concept is the opposite of what religious leaders are preaching. If the bible is instructing you to do something how can it be evil?Another reason I find the religious leaders rejection of occult science is that many Imam’s, priests, and Rabbi’s are clearly very skilled spell casters. Sit in on any religious ceremony and you will see this in action. Most of all I believe that the rejection of astrology by religious leaders is due to fear of their followers freeing themselves. Astrology is like the blueprint of your being and will reveal the duality of your existence so that you can identify and deal with both of your polarities effectively thus freeing yourself. Religious leaders want subservient followers not free thinkers that know where they are going. When ever I hear someone tell me to <strong>NOT</strong> to do something without substantiating the reason why it immediately causes suspicion in my mind. I am not here to bash anyone’s beliefs, I just want to help expand minds and viewpoints so as to help them find their way to fulfillment. Next articleThe astrology of A.D.D. I didn’t know about this. I knew just about the Clock Tower in Venice. Yup, there are a lot of artifacts worldwide.